Lifestyle Changes – Lifestyle changes often are recommended, since other heart disorders increase the risk of developing an arrhythmia. Living a “heart healthy” lifestyle can reduce the symptoms experienced with heart rhythm disorders and can be beneficial to overall patient health. Medications– Many abnormal heart rhythms can be controlled by medications or treat related conditions such as coronary artery disease, high blood pressure, heart attack and heart failure. Medications are also used to limit the risk of blood clot formation in patients with certain types of abnormal heart rhythms (ex. Afib / Atrial Fibrillation). 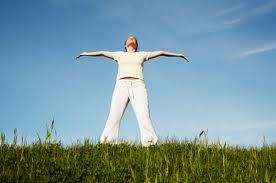 Electronic Devices – Some devices are used to deliver a controlled electric shock to the heart. 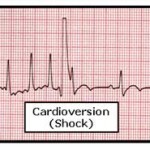 These defibrillators or cardioverters “shock” the heart back into a normal rhythm. Sometimes the devices are external, and used in an emergency situation. 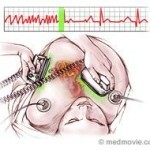 Often, the electronic devices are implanted in the patient’s chest. Implanted cardioverter defibrillators (ICDs) – ICDs continuously monitor the heart rhythm and function as pacemakers for heart rates that are too slow. For dangerously fast heart rhythms, they deliver life-saving shocks. These devices are 99 percent effective in stopping life-threatening abnormal heart rhythms. For this reason they are the most successful option to treat ventricular fibrillation (VF), the primary cause of sudden cardiac arrest (SCA). 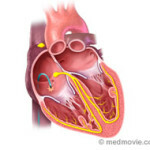 Pacemakers – Devices that “pace” the heart rate when it is beating too slow (bradycardia) are used to take over for the heart’s natural pacemaker, the sinoatrial node, when it isn’t working properly. Pacemakers regulate and monitor the heart rhythm and send electrical signals to stimulate the heart when it beats too slowly.